Gorgeous tattoo tights enabling you to wear a different design on your legs every day without worrying about whether you will love it in 10 years time – as you may do with the real thing. 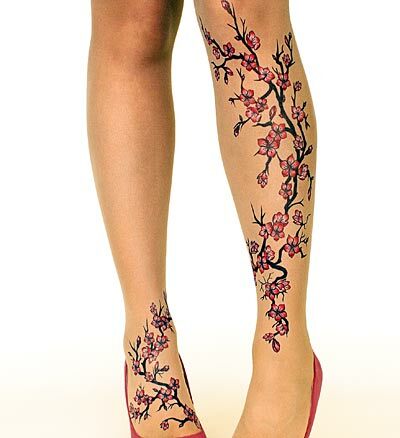 These beautiful hand-painted cherry blossom tattoo tights are designed by Stop & Stare hosiery with realistic designs on a sheer 20 denier premium quality Italian pantyhose base which have been tested to last as many as 9 days of wear in heels or up to 2 weeks in flat shoes. 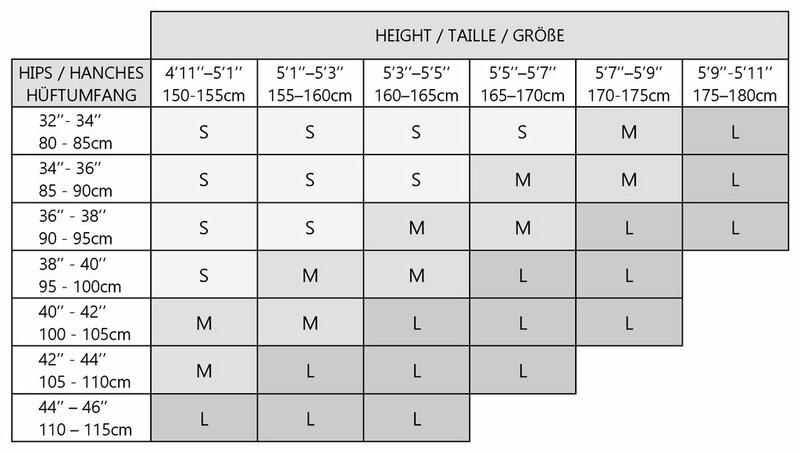 This is really amazing for 20 den tights and displays the high quality of the product. The cherry blossom is the symbol of Japanese Samurai warriors and is associated with chivalry, integrity, respect and honor In China, the cherry blossom tree symbolizes female dominance and power and the Chinese consider it to be a sign of good luck so if you are a lucky female warrior these tights are just perfect for you. These brightly coloured tattoo tights are made with advanced Lycra fibres for a natural make-up finish that is long-lasting and durable. They have a wide comfort waistband and are sheer to the waist with hygienic cotton gusset which can eliminate the need for additional underwear if you wish, flat seems and reinforced toes.